Club fitting has always been an art, but now through technologies, such as FlightScope we can fine tune and confirm the visual assumptions we see on the driving range. This article is to help players understand the importance of a properly fit golf club and the benefits technology can provide in the fitting process. During a recent visit to The Kingdom at the headquarters of Taylormade in Carlsbad, California I worked with one of the lead fitters for the company, Daryl Dyte. Through the years I have spent time with highly technical club fitters that exclusively use ball flight monitors for all shots and I have also spent time with club fitters that only work off of what they feel and see from the player. Daryl was similar to my style of fitting which is more of a blend of the old school feel and the new school technological. This leads me to our discussion of club fitting and the benefits. Players are constantly working on improving their golf games through lessons, fitness, and new equipment, but I would say that not all players see the value in a properly fit set of golf clubs. 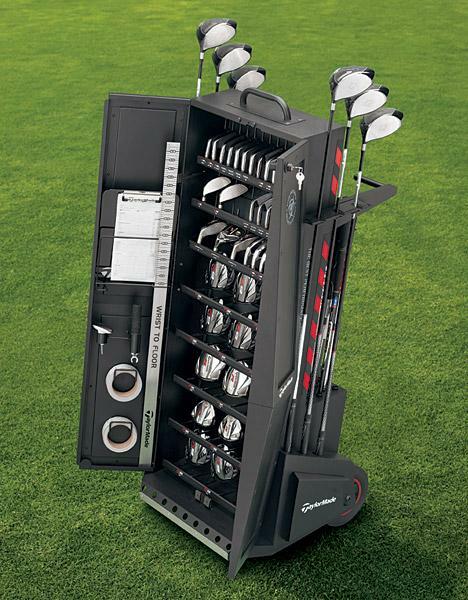 The most common reason is that players do not think that the quality of their golf game justifies the fitting process. Which would be the exact opposite of how I feel about fitting, certainly the lower handicap needs a properly fit set of clubs, but they can also adjust their swing to fit the clubs. 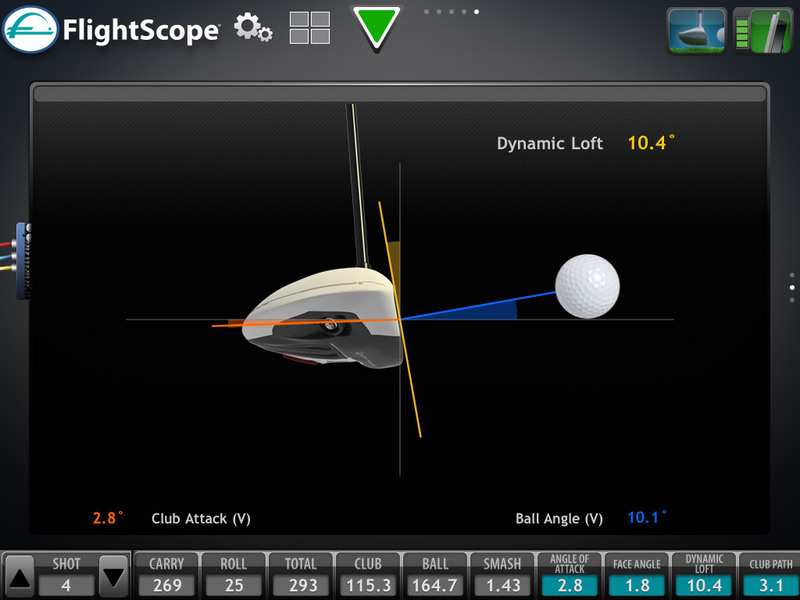 There are different basic categories that a player should expect a club fitter to measure and analyze. These are the major areas a fitting should cover and players should have a measurement for when they leave a fitting. The process and what order they are fit in is where the art form comes in to play and each players might be different. My method is to start with the feel of the shaft and focuses on finding a shaft the player is comfortable with playing. It is the responsibility of the fitter to listen to the players ball flight desires and their sensations when hitting certain shafts to ultimately fit the correct shaft. After the proper shaft is selected we can discuss the length of the shaft that best fits the players’ swing and the lie angle that allows them to play their desired ball flight. This also would be the time in the driver fitting we would fit the face angle position and the weight distribution on the weight system. With the advancements in shaft and driver head technology this will be the most time consuming part of the fitting due to the ability to fine tune the feel and ball flight characteristics. With the new Taylormade R1 driver there are 8 different lofts (8-12 degrees), 7 degrees of face angle options, and heel to toe weights that can effect the flight of the ball as well. There are close to 240 options that the new R1 driver can be set to, to help optimize your ball flight. 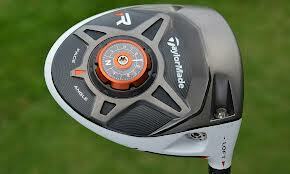 When you add in the options of the shafts there really is a R1 driver for every swing. The putter is the most under fit club in your bag, but the most used on the golf course (PGA Tour Scoring Leader is at 68 and the best Putter on Tour averages 27 putts per round, so roughly 40%). There is something about grabbing a putter off the rack and feeling the the weight and the look of a putter, but when we really take a look at heal and toe weighted putters, putter lengths, and lie angles and loft you can really dial in the roll of the ball. Players should expect to be measured for these other aspects of a putter to ensure a properly fit. Players should also be aware of the option of a face balanced putter and a toe balanced putter and the affects on face rotation can make a significant difference for some players. Notice the different options below and image how this can affect your face rotation or lack of rotation during your putting stoke. 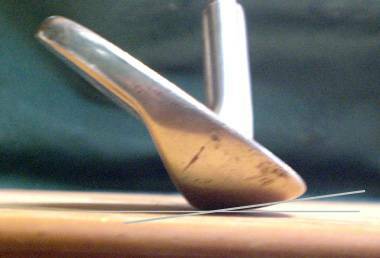 The bounce is really one of the most important aspects a fitter should fit during a wedge fitting. Players all have different attack angles, thus players should all have different bounce angles to combat the effects of their specific angle of attack. Steep players will require a higher bounce to prevent digging the club into the ground and players with a more shallow attack angle will require less bounce to ensure the leading edge is not elevated while swinging through impact. This is also assisted through technologies such as FlightScope to actually measure the attack angle and then fit the wedge bounce from there. Gap fitting is becoming a larger aspect of fitting a set of clubs due the increased distance we are seeing for drivers and fairway metal there needs to be an appreciate hybrid to bridge the gap. The should be a fairly simple process and again a launch monitor such as the FlightScope needs to be used to make sure the last playable iron doesn’t traveled the same distance. The launch angle and the spin rate of the ball need to match your clubhead speed, just as the driver had an optimal range. This is critical to create the type of club you are looking for, as some players use this club to tee off with and some are looking for approach shots. Different launch angles and spin rates are required for both. Please contact me if you have any questions about the process of fitting golf clubs or if you would like to schedule a fitting.